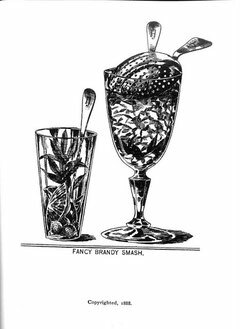 A couple years ago, a blogger named Eric Ellestad decided to mix, drink, and write his way through the Savoy Cocktail Book, a collection of cocktail recipes from 1930 with a whopping 750 different concoctions. Armagnac, citrus, fruit, and muddling. The Savoy Cocktail Book, from A to literal Zed cocktail. There's an awful lot of happy royalty in this section, and no wonder!